An amazing first experience for anyone who’s ever wanted to try glassblowing! *Can accommodate private groups of up to 6 people. Must be 15 years or older. After you have created your glass masterpiece, it must slowly cool in a kiln and then polished, and will be ready the next week. Please note that we can only hold your beautiful, unique glass treasures for 90 days in our cubbies. Any items not picked up within 90 days will be removed to make space for other students’ work. Students under 18 years of age MUST come to class with the Waiver signed by a parent or legal guardian. 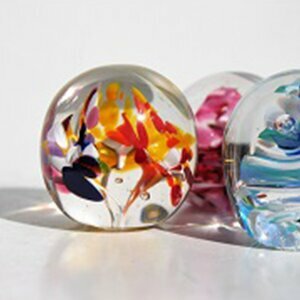 This entry was posted in glassblowing and tagged Beginner by Admin. Bookmark the permalink.